Micromeritics’ materials characterisation instruments distributed by Particle & Surface Sciences are used to make plastics eco-friendly by introducing biorenewable CO2 into the polymerisation process. There is increasing concern about the high volume of plastics in use, their production costs, heavy use of exhaustible resources and environmental consequences. Large amounts of volatile chemicals and fossil fuels are required to create synthetic plastics. It is estimated that plastics production accounts for between 5% and 10% of worldwide oil and gas consumption. The rising cost of oil and fossil fuel coupled with the introduction of cheap plastic from Middle Eastern producers is putting pressure on the industry to lower production costs in the near term. Some of the advantages of plastics such as strength, light weight, durability and resistance to degradation are drawbacks where the environment is concerned. Millions of tons of plastic end up in landfills every year and their incineration or unwanted dispersal leads to ecological problems. As a result, there is growing interest in biodegradable and recyclable polymers. Economic and environmental concerns are driving governments and private industry to take significant interest in applying biorenewable resources to plastics production as an alternative to the traditional fossil fuel-intensive method of manufacturing plastics. The more eco-friendly process involves the capture of industrial waste CO2 and its subsequent conversion into a major component of the resin used to make the final product. The use of CO2 as an inexpensive biorenewable resource could potentially solve a number of problems associated with plastics production. 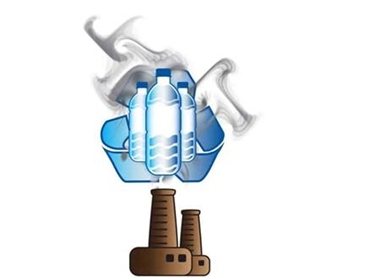 The catalytic coupling of CO2 and epoxides to generate carbonates or polycarbonates has proved to be a very promising technology in the utilisation of CO2 as a major component in a wide variety of plastic products. Recently, classes of proprietary zinc-based catalysts have been developed that allow this chemical reaction to take place in less time at low pressures and temperature, with the use of significantly less fossil fuel. As a result, it may soon be possible to manufacture biodegradable, competitive, low-cost plastics while reusing captured waste CO2 as feedstock. Due to the low cost and accessibility of CO2, the appealing properties of polycarbonates and significant public interest in producing environment-friendly plastics, developing new catalysts for the polymerisation process has garnered a great deal of scientific interest. Research scientists require methods that not only characterise adsorbents for CO2 sorption and separation, but also help with the design of new classes of catalysts developed for the CO2 polymerisation process. Micromeritics offers an extensive line of research grade gas adsorption instruments that include the ASAP 2020 and ASAP 2420 accelerated surface and porosimetry systems, which can be used to characterise adsorbent surface area and porosity characteristics. Micromeritics’ ASAP 2020 and AutoChem II 2920 can perform a comprehensive array of highly precise chemical adsorption and temperature-programmed reaction studies respectively. Catalytic activity is evaluated by measuring the amounts and types of reactive gas adsorbed. This volume of gas, along with an understanding of the reaction stoichiometry is used to calculate metal dispersion, active surface area, size of crystallites and surface acidity. Micromeritics’ AutoPore mercury porosimeters use mercury intrusion to determine total pore volume, pore size distribution, percent porosity, density and transport properties. Micromeritics’ expertise along with its innovative materials characterisation instrumentation will be instrumental in providing important measurements required for the development of environment-friendly plastics.